Jürgen Klopp is an astute judge of what the Liverpool players need to hear from their manager, according to James Milner. The Reds boss has made post-match hugs a trademark of his Anfield tenure, often rushing onto the pitch to celebrate with the team after a victory or commiserate upon suffering defeat. But, as Klopp himself has intimated in the past, it is not always positivity and smiles from the German. Tough words are dispensed in the dressing room or from the touchline when necessary, and Milner believes that ability to switch tack as required is crucial for a coach. “He likes to shout on the side of the field, he likes to be involved in the game. If things aren’t being done, obviously he’ll tell you that,” the vice-captain told Premier League Productions. “Sometimes at half-time you’ll get a team-talk where he is angry but other times you might expect that and he doesn’t. I think it’s important as a manager that he can come from both ways. He has that. 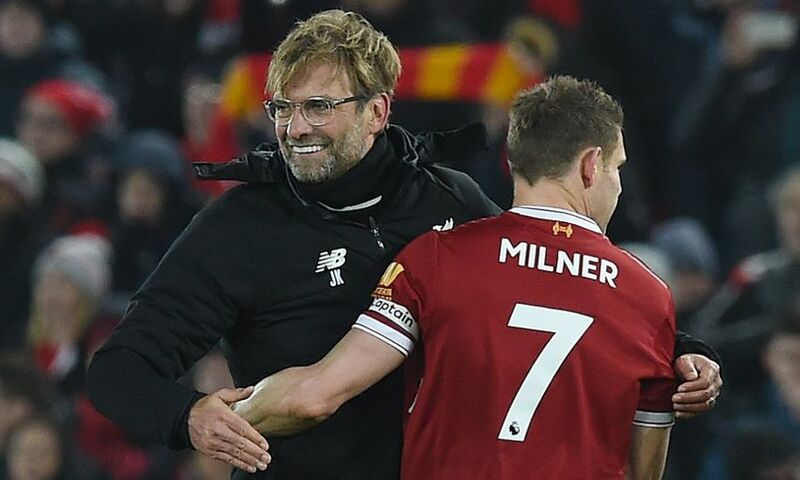 Klopp arrived at Liverpool three months after Milner, with an impressive pedigree that included taking Borussia Dortmund to two Bundesliga title successes and a Champions League final. The Reds squad was struck by the new man’s enthusiasm from the very first training sessions he oversaw at Melwood, the No.7 revealed. “[It was] intense. He loves his job and loves football. He is passionate. He wants to be out there on the field with you,” said Milner. “His first game was Spurs away and the tempo of that game was ridiculous; they play a high tempo as well and it was his first game. “We played a pressing game under Brendan as well, but I just remember the intensity and the tempo. It was so early in his reign.